Jersey has extensive political autonomy, and in many respects has the power to shape its own destiny, However the UK is responsible in law for the Island’s international relationships. We cannot join international organisations like the United Nations and the Council of Europe in our own right, nor can we make treaties or enter international agreements, except to the extent that we are authorized to do so by our sovereign state, the United Kingdom. Why then did the States Assembly establish a Ministry for External Relations in 2013? Why not rely upon the UK to conduct all our international relationships? There are several answers to those questions. The first is that we have been encouraged by the United Kingdom to represent ourselves. When I first entered the public service as Solicitor General in 1975, the UK held the Island on a very tight rein. Nearly all the contacts Jersey had with the UK Government were through the Home Office. If Jersey had any business with an international organisation, we had to approach it through the Home Office. 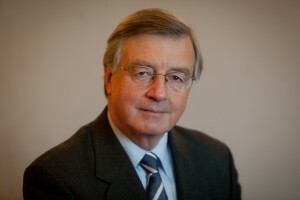 Later, responsibility for relations with the Crown Dependencies was transferred to what is now the Ministry of Justice, and financial pressures in the UK meant that fewer officials were allocated to Island affairs. More significantly still, international tax initiatives sometimes put the UK on the opposite side of the fence to Jersey. When the Organisation for Economic Cooperation and Development (OECD) produced a report on harmful tax competition in 1998 Jersey officials engaged, for the first time, and very successfully, directly with the OECD. In a Framework Agreement signed in 2007 the UK formally recognised that Jersey had its own international identity distinct from that of the UK, and supported the principle of developing that identity. The second is that there are good commercial reasons for developing Jersey’s international identity. All our principal industries, from financial services to agriculture, fisheries and of course tourism, depend to a large extent upon customers and clients who are outside Jersey. Our international image and reputation are important. We want people to recognise that we comply with international standards, and that this is a caring and compassionate community where the weak and vulnerable are protected so far as possible. In some countries, the Middle East and China for example, it is necessary to establish a good relationship with government before business development can take place at all. Promoting a truthful and positive view of the Island in all those foreign markets is good for business. The third is that there are many things that can be done to advance Jersey’s interests internationally, even though we have limited legal powers. International relations are no different from any human relations. All relationships require the investment of time and effort if they are to be friendly and warm. That is why Ministers and officials visit the London embassies and high commissions of countries with which we trade, or wish to trade. That is why, occasionally, we travel to the countries in question to talk to key people. A face to face discussion is often the best way to remove misunderstandings, to explain our objectives and to build friendly relationships. My fourth answer to the questions I posed is that developing Jersey’s international identity is a matter for national pride. Since the establishment of the Ministry of External Relations in late 2013, we have fought to protect Jersey’s interests, national identity and reputation. Negotiations achieved Jersey’s removal from a potentially damaging French black list. Many ostensibly domestic matters have international dimensions. Our electricity comes from France; ownership of our seabed had to be negotiated with the British Crown; our airspace is linked to France, and environmental safety has a European aspect. All of these relationships are managed more smoothly with a small, skilled External Relations team. It is with some pride that I can say that the seabed is now owned by the people of Jersey, that Hautlieu School is linked with Ba Yi School in Beijing, that trade with China is being boosted, and that businesses have access to EU markets in alternative investment funds. All the time we are developing our capacity to represent ourselves; we are playing our part in the international system where we have expertise and interests at stake, in the OECD, the Global Forum, and the Commonwealth, and by effectively implementing international sanctions. London is of course the focus of most of the effort of the Ministry of External Relations. But our offices in Brussels and Caen, shared with Guernsey, are important too. Apart from the UK, our most important international relationships are with France and the European Union. Maintaining good relationships is a never ending task in all these places. Can we do more? We certainly can. We have limited resources but they can be deployed in different ways. I hope that we will shortly be authorised by the UK Government to negotiate Bilateral Investment Treaties in the same way that we currently negotiate and conclude tax agreements with other countries. That will open the door to important business opportunities in Africa and elsewhere.